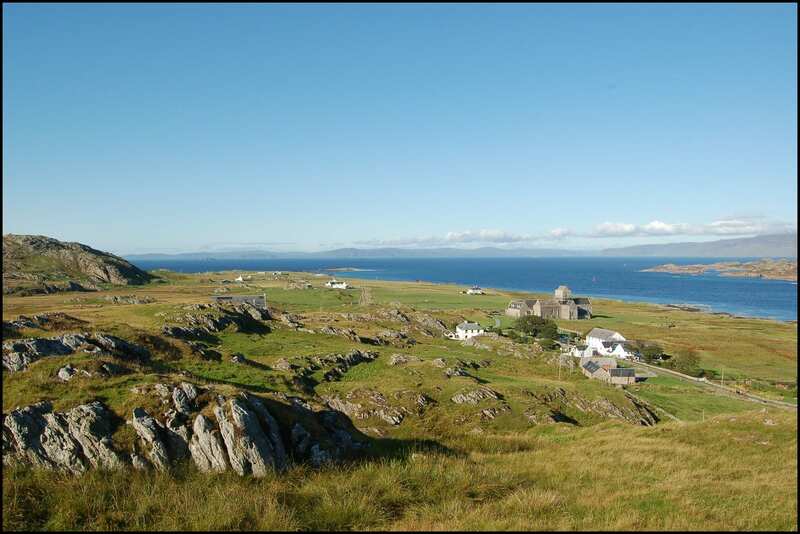 Iona is a little island off the coast of Mull which measures only 3 miles by 1.5 miles. You don’t need to travel far on the island to find out that religion had a big part to play in its history. Visit places like Iona Abbey, the Nunnery or the Heritage Centre to find out more about the introduction of Christianity to Scotland. With its peacefulness and tranquility, views to the surrounding islands and history it makes an ideal place for a retreat, to take time to reflect, or be inspired with new ideas or creativity. There are only about 150 residents and visitors are not allowed to bring their car unless they have a blue badge and apply for a permit. If you are holidaying in Mull then make your way to the southwestern tip of Mull to Fionnphort where you can get the Iona ferry every 10 minutes in the summer months. It takes only 10 minutes for the short crossing over the Iona Sound.